We are big believers in backwoods and greenfield camping and as such we have created a backwoods area which is classed as greenfield for Scout permit needs. On our map, it is shown as “To the woodland area” and along the track there is a mixture of clearings and dense woodland with a large open meadow at the end. We planted most of these trees when the site was first purchased and they are now just capable of supporting hammocks. We also are one of the few campsites to allow wet pits, fire pits and latrines to be dug in the ground and used. Obviously, we expect these to be cleared up properly after use and marked accordingly so that the next groups don’t get any “surprises”. Please check with us first so we can advise on location. 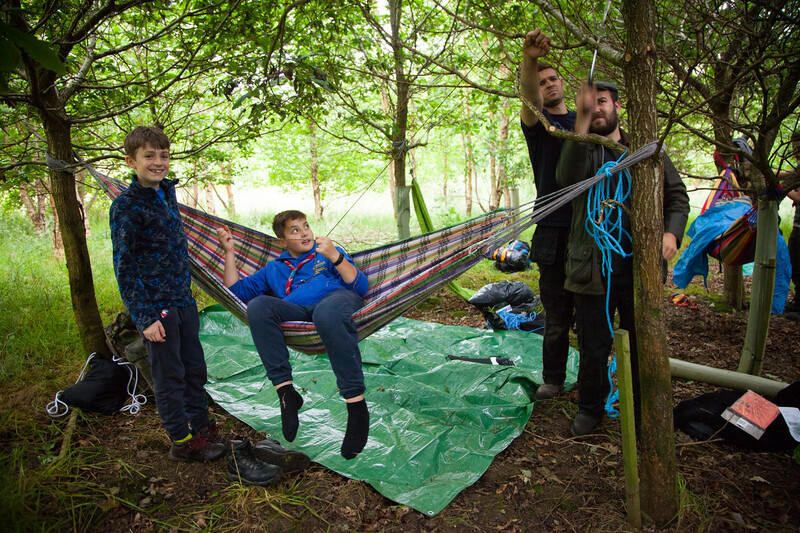 Usual camp fees apply and Scout Leaders require greenfield camping permits. If you are looking for rabbits, birds or fish for backwoods cooking, we usually keep these in stock and can supply them for you with a little notice. There are no water taps or any other facilities down there but you can of course come up to our main site to use the facilities if you desire.